Associate’s degree programs can definitely help you save money if you’re interested in college, since they cut your learning time in half. You can go on to get a bachelor’s degree through employer tuition programs or on your own time at a later point if you wish, but getting an associate’s degree is a great first step for many students. Just because you can save money with an associate’s degree program, however, doesn’t mean that they are inexpensive. Associate’s degree scholarships and grants may help you cover the cost of tuition and related expenses, making it possible to get your degree from one of the top programs in your field. Scholarships and grants are both forms of financial aid that you don’t have to repay once you graduate. They are most often available directly for tuition, but some also help cover other costs of your associate’s degree education, like books and supplies, housing, research projects, and living expenses. Scholarships are awarded based on merit, such as talent in a certain field, good grades, or a well-written essay. Grants, on the other hand, are awarded based on financial need. Most students qualify for both. You can start by looking for scholarships and grants directly from your school. Many colleges offer financial help for students in their associate’s degree programs, and all you have to do to qualify is apply. 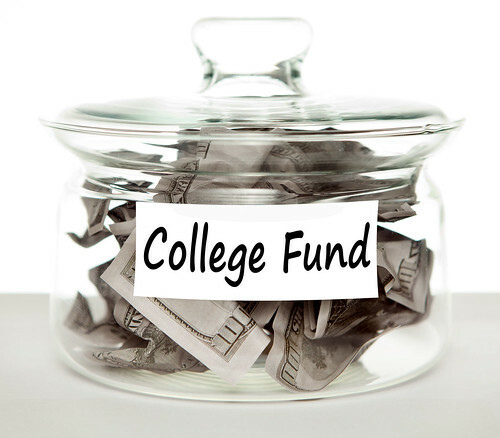 These are often some of the biggest scholarships and grants available to students, so talk to your college’s financial aid department today to find out more. Scholarships and grants may also available through government resources. If you fill out a FAFSA (Free Application for Federal Student Aid), you can learn if you’re qualified to participate in these programs. Many students are, but if you are not, some government departments offer additional financial aid programs for students in need, such as Stafford Loans. Check out departments that coincide with your major of choice – for example, teaching students should check with funds available through the Department of Education and nursing students should hunt for financial aid with health-related departments. Outside organizations and private companies also offer scholarships and grants for students in many instances. Some are only open to bachelor’s degree students, while others are open to any student attending an accredited program. The program being accredited is often very crucial, as these companies are much less apt to donate money to a student who isn’t attending a school that has been validated with accreditation. This ensures that the money you receive is going toward a legitimate education, not being used to pay off a school so you can receive an undeserved degree. You can find associate’s degree program scholarships and grants from organizations and companies in two different ways. First, you can search for financial aid that is open to all students, regardless of major. The second type is open to students just in a specific field of study. Typically, those open to all students are more readily available and in higher amounts, but those open to students just in your field of study are less competitive. Start by applying for local grants and scholarships, but also take the time to apply for state-wide or national funds. Apply to as many financial aid programs as possible, since the more money you’re awarded, the less you’ll have to pay out of pocket to attend college. Additionally, the more obscure scholarships are those that many students do not even think to apply for. Many students preparing for college will only apply for large, notable scholarships, assuming this is the only way to pay for school. The truth is, by applying for many smaller, less-known scholarships, students can much more easily assemble an impressive collection of scholarships to finance their college experience.